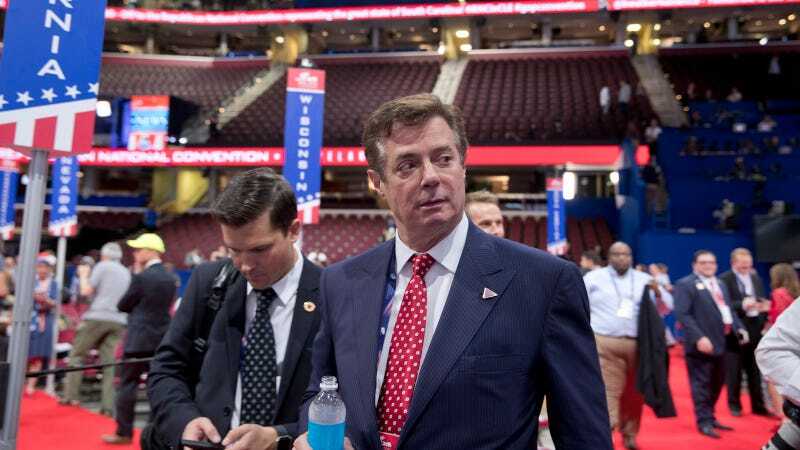 Paul Manafort, who worked on the Trump campaign from March until August 2016, secretly worked for a Russian billionaire with ties to Putin to advance Russian interests beginning during the Bush administration, the Associated Press reports. A U.S. official told the AP that Manafort is a primary subject of the U.S. intelligence investigation into the Trump campaign and Russian election influence; FBI director James Comey confirmed the existence of an investigation into whether the Trump campaign coordinated with Russia at a House Intelligence Committee hearing on Monday. Allegedly hacked texts obtained by Jezebel, as well as a Daily Beast report from November citing multiple transition sources, have suggested that Manafort remained involved with the Trump campaign and later the transition team following his ouster; the AP reports that Manafort told a colleague this year that he continues to speak with Trump on the phone. Manafort recently hired a crisis communications firm.